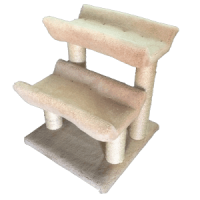 Many clients of mine either buy small scratchers for their cats (when they were kittens) but don’t think of replacing them when their cheeky tinkers become adults or they buy inappropriate sized scratchers from the start which their cat then ignores. 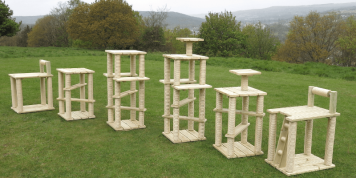 At the recent Supreme GCCF cat show at NEC, Birmingham I met Steve setting up the Kalvens stand and was really impressed by the lovely array of large platformed climbers and tall sturdy cat scratching posts. 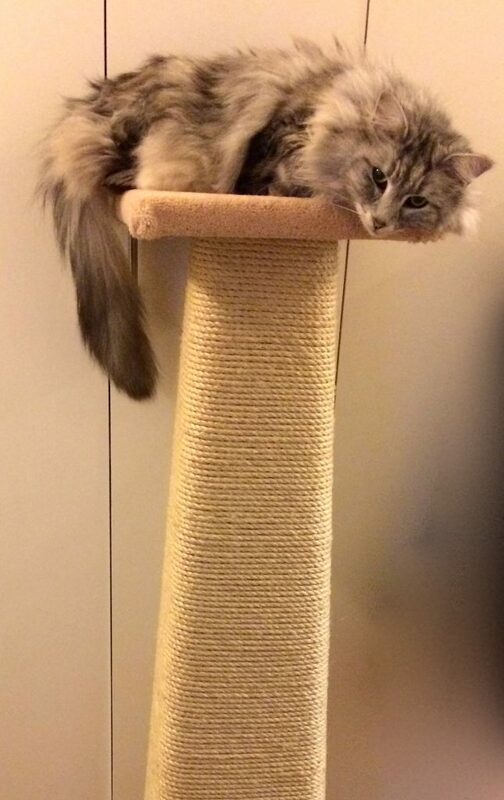 I was given one of The Tower posts to try out with my two huge Norwegian Forest Cats Kiki and Zaza. 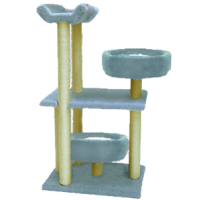 They are based in the North of England but deliver all over the UK. 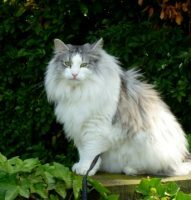 Many breeders, as well as cat rescue centres, catteries and private owners use the products of Kalven. 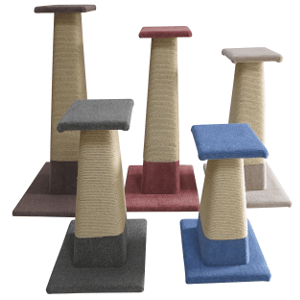 With lovely well made products and affordable price tags I will certainly be adding my name to the list too!